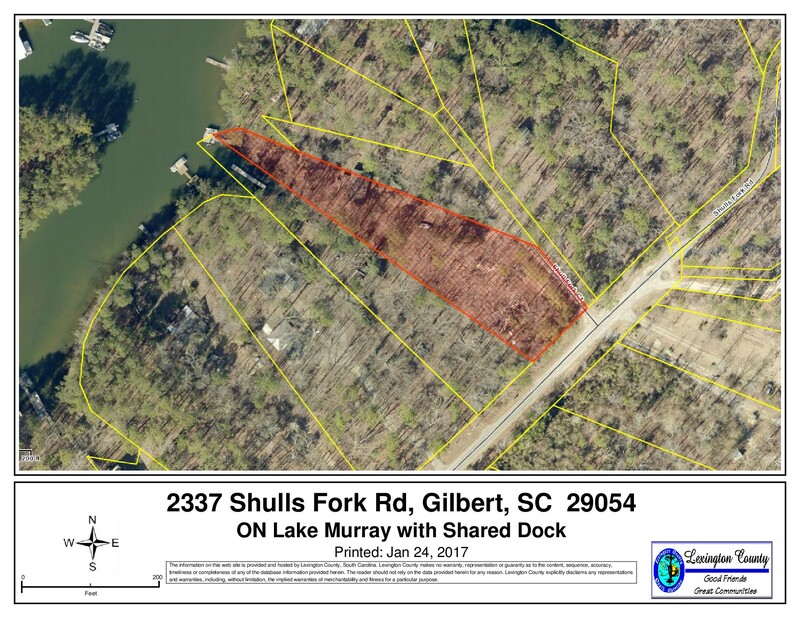 2337 Shulls Fork Road in Gilbert, SC is a .79 acre lot with access to Lake Murray, SC. It is located 13 miles from Lexington, SC, 25 miles from Columbia, the capital city of South Carolina, 31 miles from Newberry and 43 miles from Aiken. This unrestricted lot would be ideal for a camper/RV since neither public water nor public sewer is available. There may be an old septic tank and/or well on the property, but since it is in an estate, there is no knowledge of that. It could also work well for a garage/storage building site for all those lake toys not permitted in restricted subdivisions. The lot is spacious and has a shared dock! As with much of the property on Lake Murray, there is some fringe land. 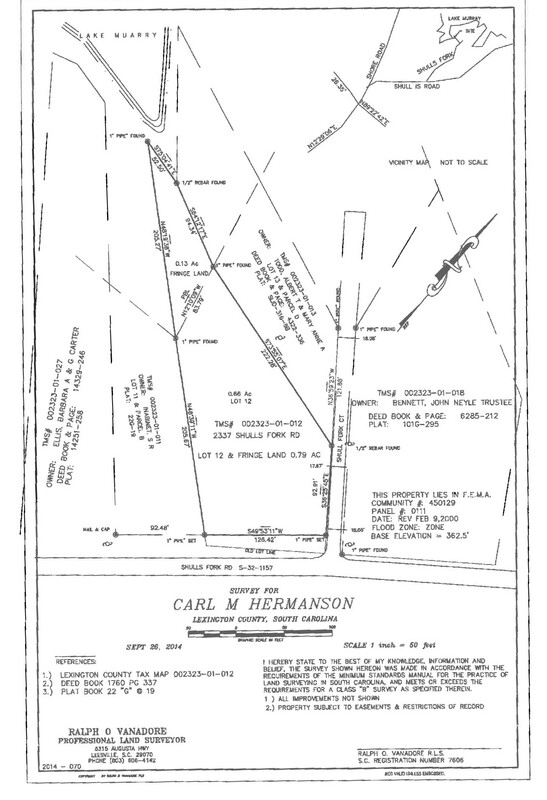 This lot has .13 acre that is designated as fringe land, included in the .79 acres. The 360 contour line is the maximum pool elevation level of Lake Murray measured in feet above sea level. The water of Lake Murray rarely reaches the 360 contour line. Consequently, there normally exists a fringe strip of land between the water's edge and SCE&G's property line. This fringe strip varies in width according to the lake level. The 360 contour line is a fixed boundary. 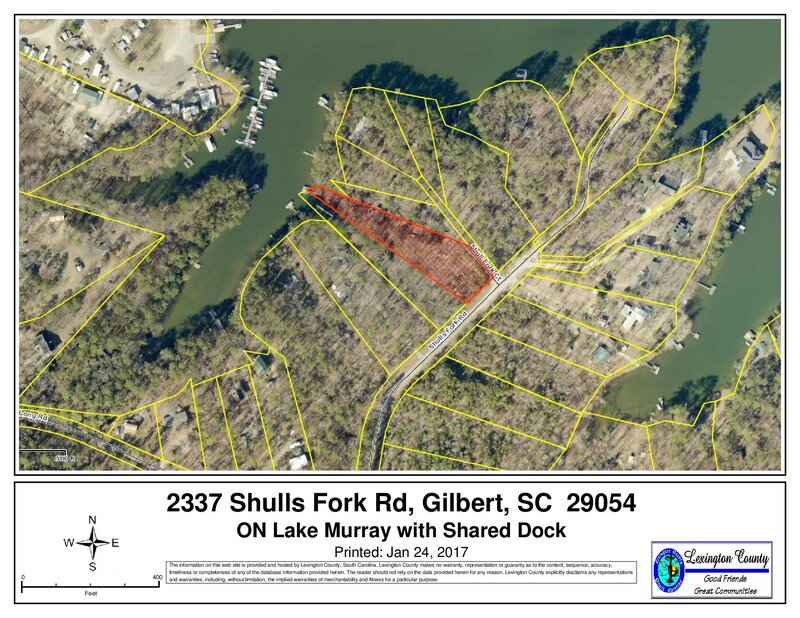 SCE&G allows limited clearing of fringe land, but the fringe land on this property allows for easy access to the shared dock. Lake Murray is known for some of the best fishing in the nation, and it is the site of many local, state and national tournaments each year. With over 500 miles of shoreline and 50,000 acres of recreational water, Lake Murray is the jewel of South Carolina, where residents and visitors enjoy skiing, boating, kayaking, paddle boarding and swimming. It is also home to some of the most magnificent wildlife in South Carolina, including the great blue heron, the striped bass, and millions of migrating purple martins. The area has more than 20 golf courses open year round for public play. 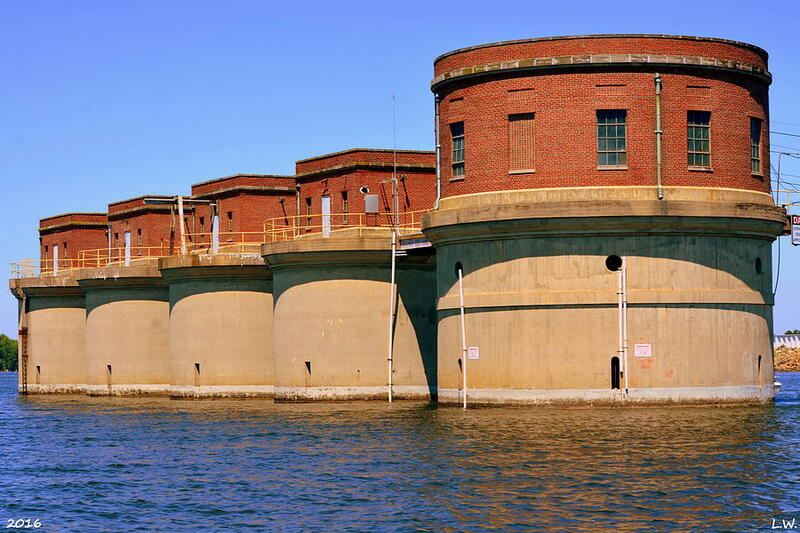 With an average temperature ranging from 56 degrees in January to 92 degrees in July, Lake Murray residents enjoy a perfect climate for year-round outdoor recreation. 2337 Shulls Fork Road is less than ten miles from Publix at Hendrix Crossing and less than two miles from Koon Landing or the Shull Island Ramp to Lake Murray. 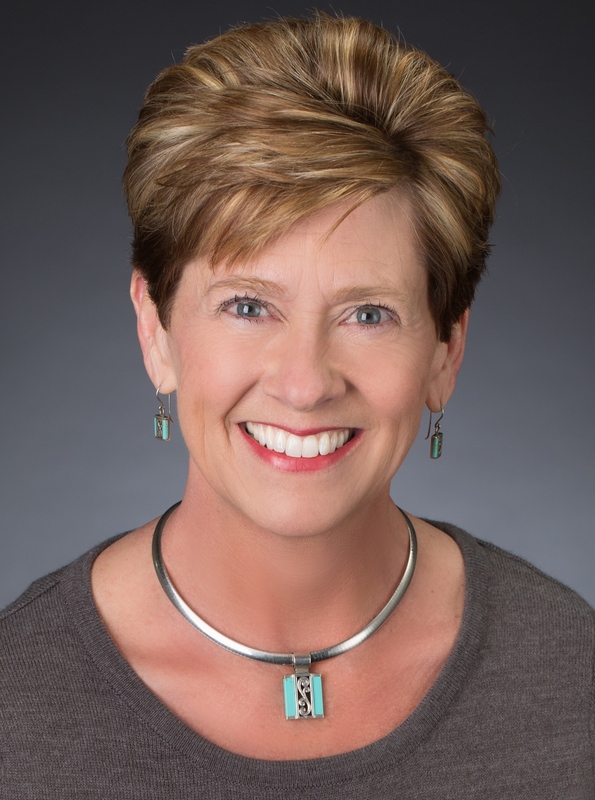 It is zoned for the award-winning Lexington One schools in Gilbert. Lexington County has this property assessed at $71,415 and a recent appraisal came in at $55,000. Considering the cost of wet or dry storage, this property is a bargain for a non-restricted lot with shared dock.